Sinuous spring systems consist of heavy-gauge steel wires formed in continuous, vertical S-shaped coils. The springs are attached to the frame with padded clips and fasteners and re-enforced with horizontal metal tie rods. This type of “no sag” construction takes less labor and is cheaper to produce than an 8-way hand-tied spring suspension but has proven over the past thirty years to provide a comfortable “sit” plus be very durable and good quality. 5. 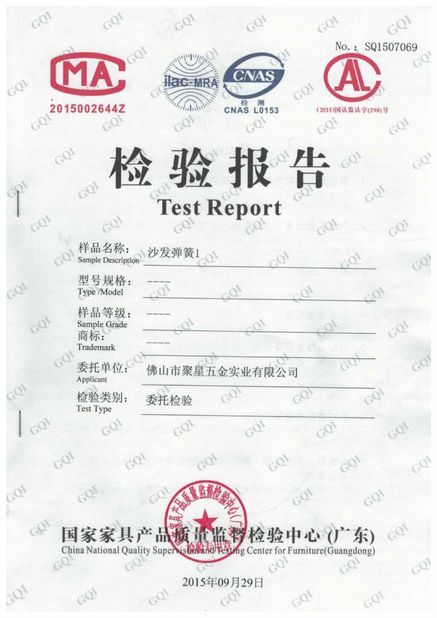 Special size can be available as per customers' drawing or samples. 6. Easy to be installed,with excellent elasticity and more comfortable. 7. 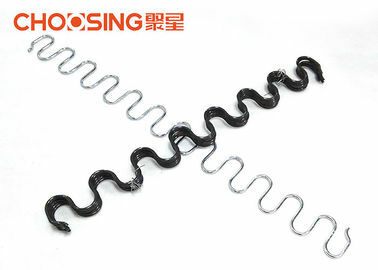 Good elasticity: the sinuous spring is made of high carbon steel wire. 8. 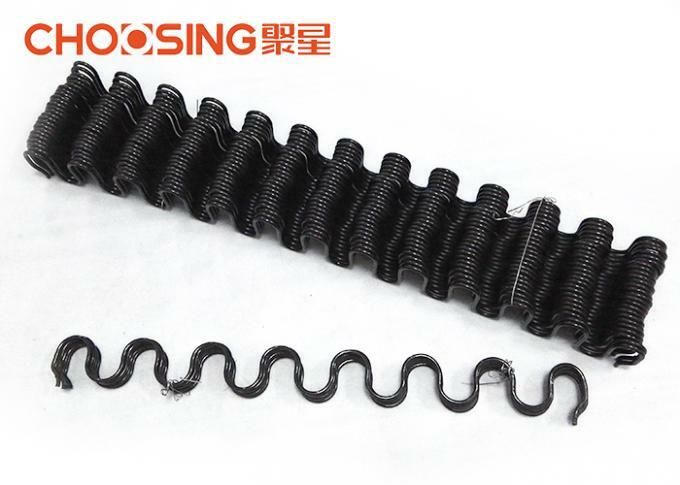 Quality guarantee: our springs pass the fatigue test exceeds 20,000 time is not out of shape. 8. Packing way : 300pcs or 500pcs per bag,packed with green knitted bag. 9. 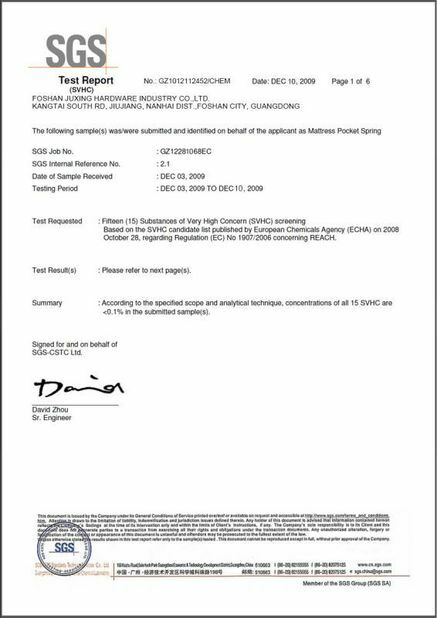 Lead time - in 4 - 15 days after receiving the deposit,just according to the order quantities.